To ensure superior quality service for your garage door, only trust All Garage Door Repair Malibu! We employ only the best and most talented repair technicians and have an excellent reputation in the state of California. We have been in the business of repairing garage door and gates for the past fifteen years and have built a loyal customer base. Always remember that your garage door needs a lot of tender love and care. Not maintaining them can result in disastrous consequences and this is why you need a dependable garage door repair company in California which will provide you with prompt, affordable and best quality service - All Garage Door Repair Malibu is just what you need! Why is Garage Door Repair Malibu Useful? At All Garage Door Repair Malibu, we make your security a priority. We offer thorough maintenance checkups which include a comprehensive 24 point system which includes the inspection and repair of hinges, cables, gears, chains, tracks, torsion/extension springs and all other components of the system. We offer a wide range of garage door repair services which includes garage opener repair, garage door track repair, garage door sensor repair, garage door panel replacement and repair. Generally, we get called to fix broken garage door springs, misaligned garage door tracks and damaged or dented panels. However, we can take care of practically any garage door repair requirement you may have. We are one of the most reputed garage door repair firms in Malibu, CA because we get the job done effectively and at very reasonable rates. One of the reasons why our customers keep coming back to us for their garage door related repair needs is because they know how careful we are when it comes to scrutinizing each and every component of your garage door system. We have never ever delivered shoddy work and that is why our customers trust us and rely on us to get the job done. At All Garage Door Repair Malibu, every member of our repair team is fully certified, licensed, insured and bonded and we have all the certifications required for carrying out our repair and maintenance work. We offer a number of valuable repair services. But the one which is most popular is repair and replacement of garage door springs. Generally, lightweight garage door require extension springs and heavier garage door use torsion springs. These garage door springs require a lot of maintenance work as they tend to snap easily due to pressure exerted on them and sudden extreme temperature conditions. They also have to be installed very carefully. If these garage door springs aren’t stable, they could cause the garage door to suddenly fall down at any time which is extremely dangerous for you and your family members. Our repair team at All Garage Door Repair Malibu has been specially trained to repair and replace these garage door springs and they have many years of experience. So, you will never have to worry about such accidents taking place in your garage. You may think this repair and installation work can easily be done by you or some of your friends and many people try to do these repairs themselves after getting tips from DIY repair videos online. But this repair work is fraught with peril and is definitely not meant for amateurs. Your best bet is to leave it to us! We are garage door repair experts and can easily take care of all this work for you. 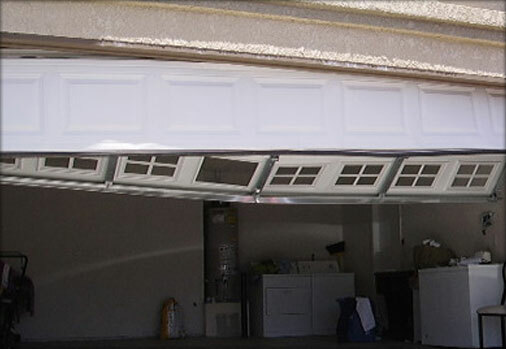 At All Garage Door Repair Malibu, we believe in doing the job well and making our customers happy. Give us a call on (310) 589-3441 and see for yourself.